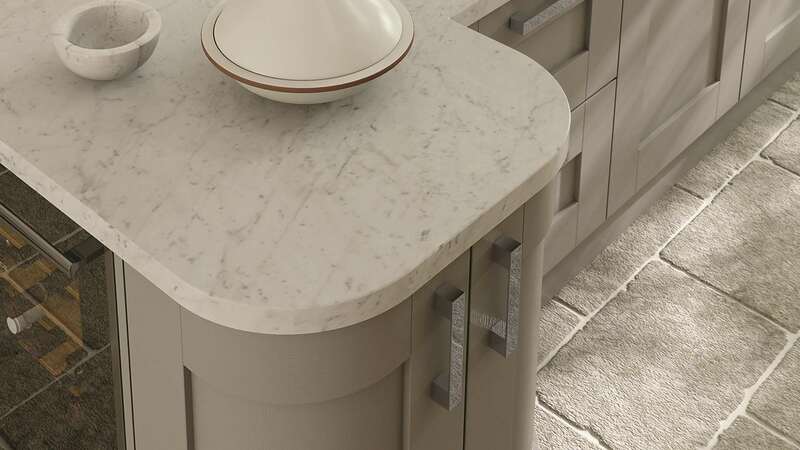 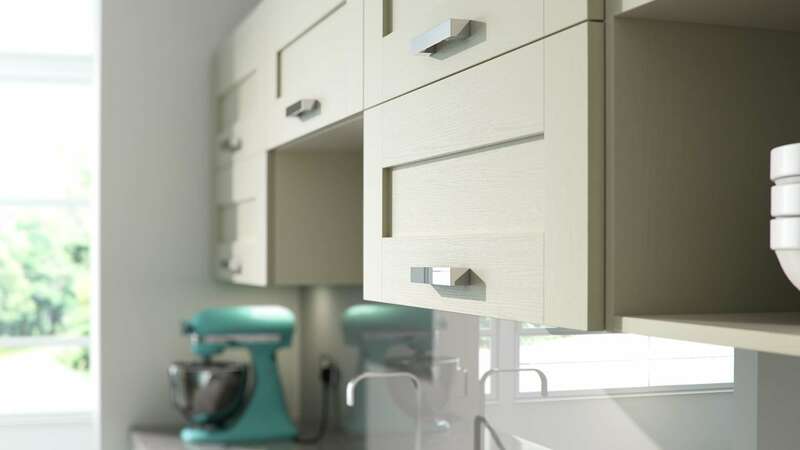 A clear favourite amongst our customers, the wonderful Windsor Shaker kitchen is currently available in ivory and painted powder blue, with the option of oak to follow soon. 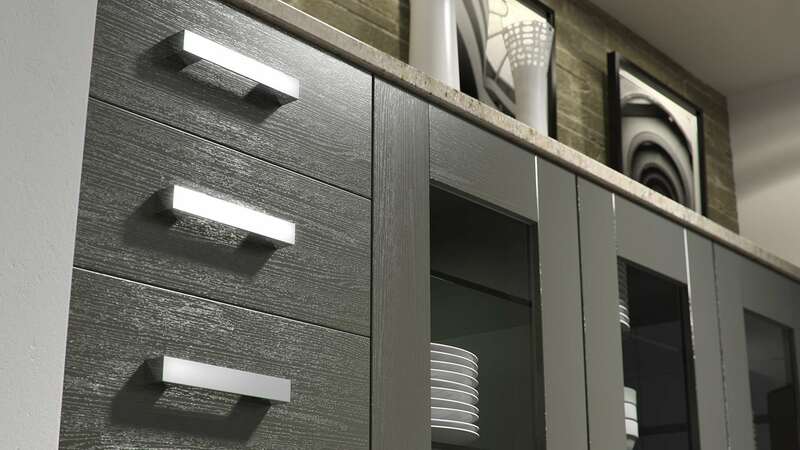 The flat panel design is delightful and the doors are polyurethane. 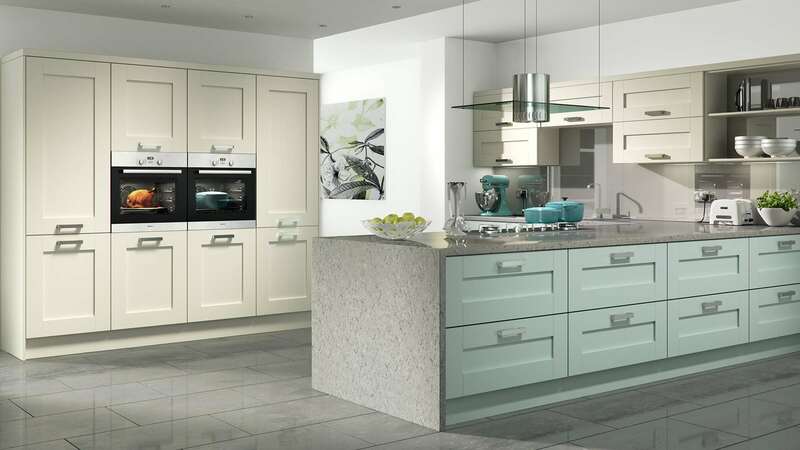 Enhanced with a grain effect, the ivory and painted option is modern and fresh. 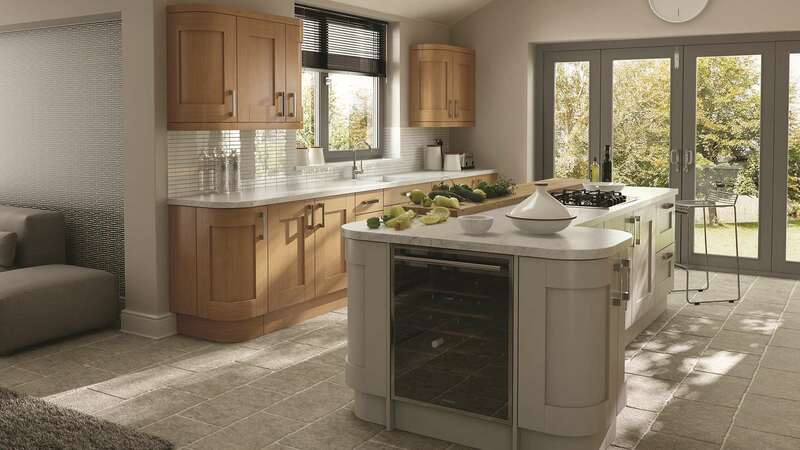 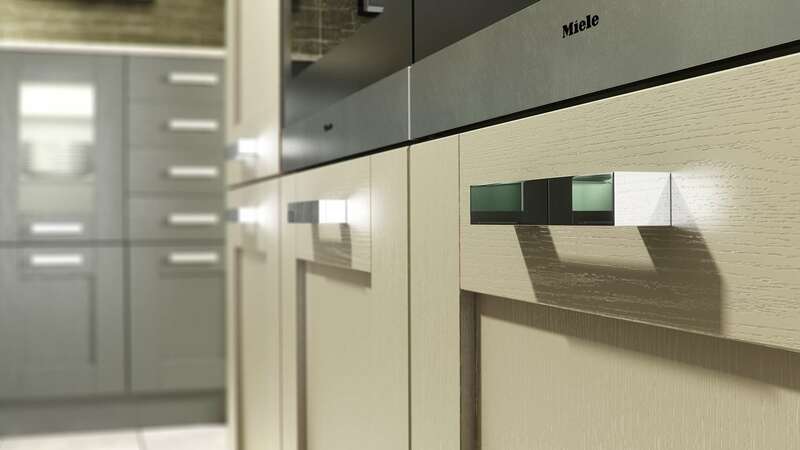 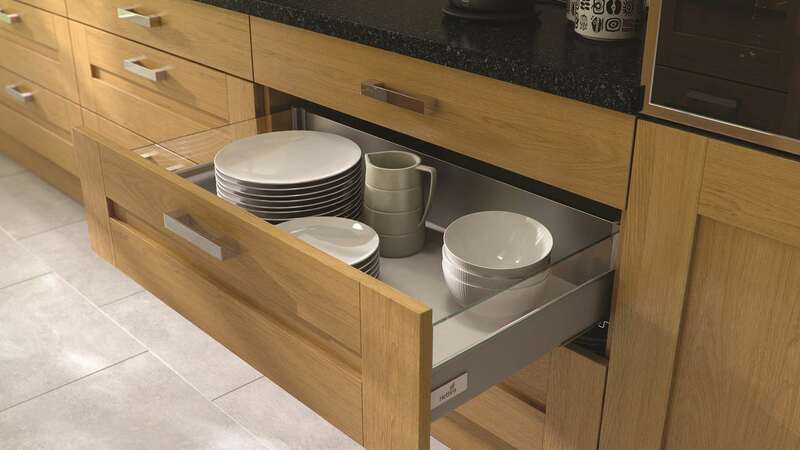 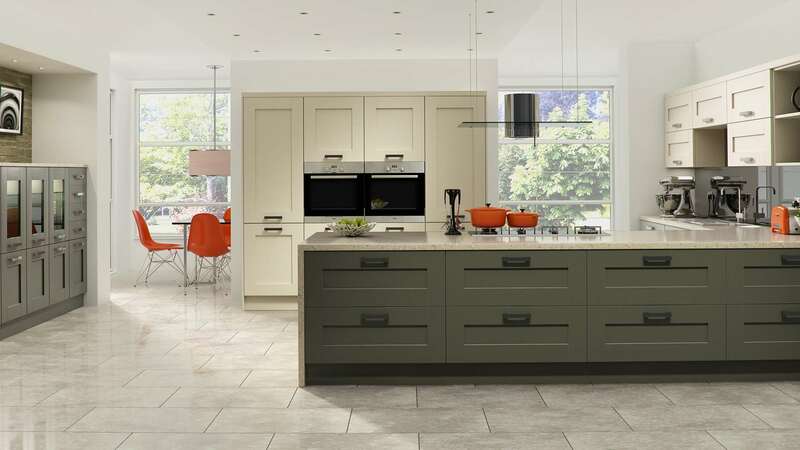 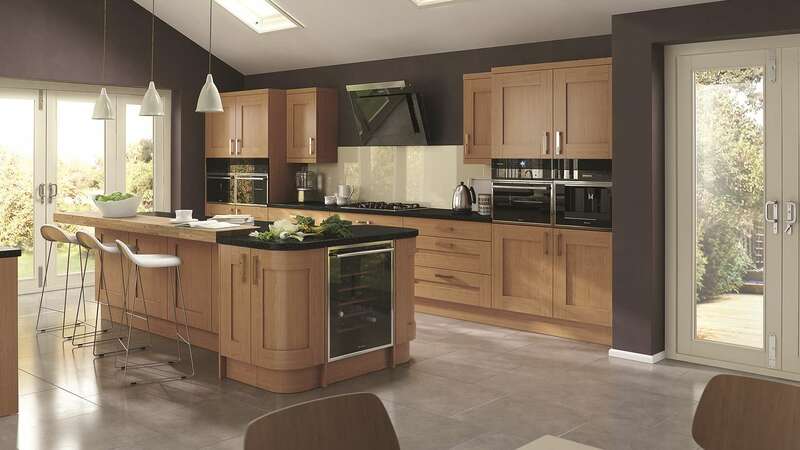 The oak option offers a kitchen that appears warm and welcoming. The Windsor Shaker Painter is a further option and comes in a rich stone and lava colour.